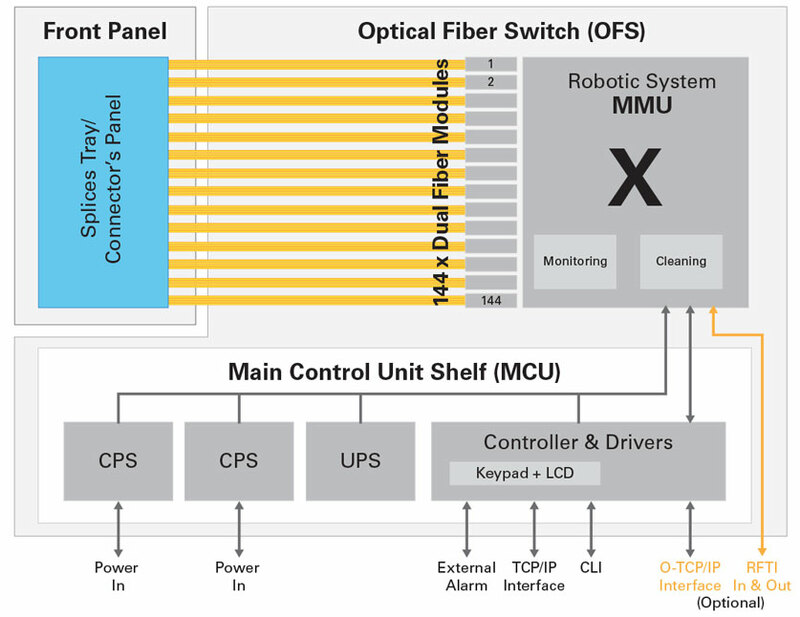 The XENOptics Remote Smart Optical Switch (XSOS-576D) breaks new ground by replacing manual Optical Distribution Frames (ODFs) and patch panels with remotely managed and fully automated systems. 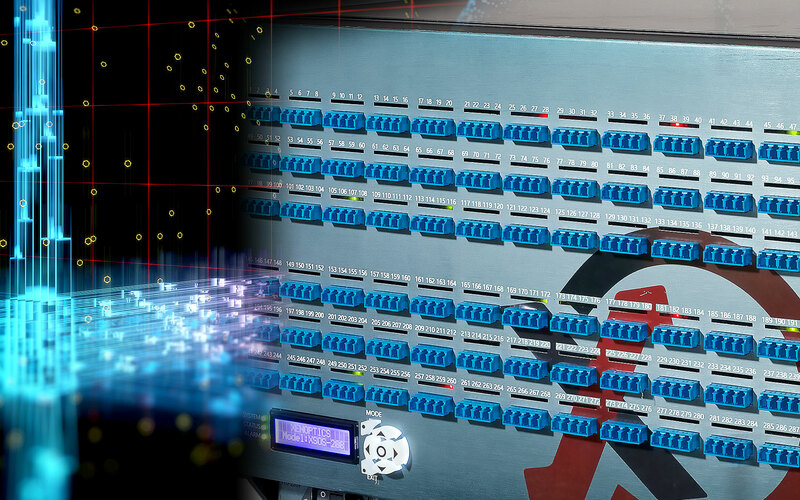 The foundation of the XSOS-576D is our patent-pending 3D optical switching (3D-OS) topology which delivers superb optical performance and complete traffic protection. Once the XSOS-576D is installed by splicing the system, all reconfiguration, monitoring, troubleshooting and maintenance operations can be carried out remotely. This capability dramatically lowers the total cost of ownership of the fiber infrastructure and offers very rapid return on investment. The Optical Fibre Switch technology combines an active switching system and a passive latching mechanism, enabling automated provisioning and configuration. The Main Control Unit controls all switching elements, monitors real-time status of cross-connections and network performance, and transmits data and alarms to the central network management system. 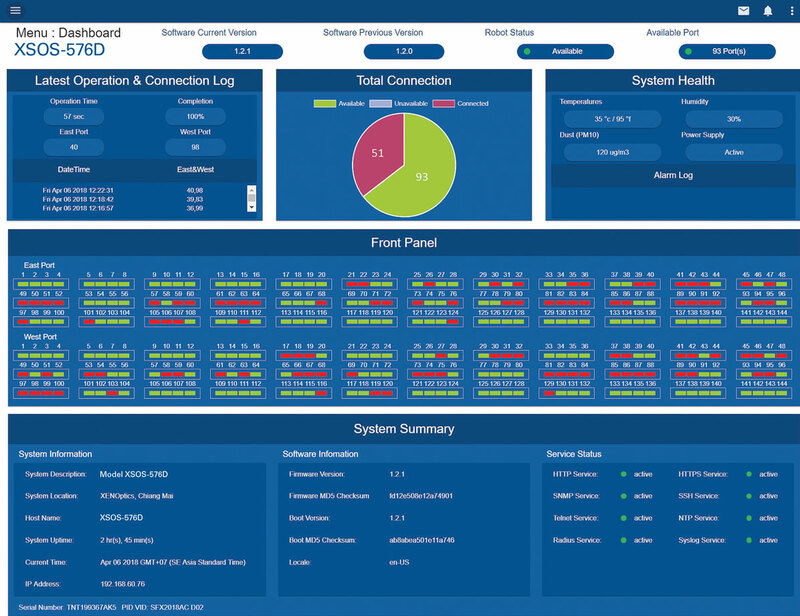 In addition, it enables SNMP/TL1 interfaces, which connect to existing operational support systems (OSS). Download the XENOptics Remote Smart Optical Switch (XSOS-576D) brochure for more detailed information. Offers breakthrough functionality as compared to manual patch cords in legacy ODFs by enabling remote, non-blocking switching capabilities of 1000s of ports. Maintains uniform insertion loss of less than 0.5dB and less than 65 dB return loss. This capability saves the power budget of the network and supports high speed signals. Proprietary latching mechanism consumes power only while switching, maintains traffic transmission in the event of power failure, and enables the unit to be repaired under operation without any traffic interruption. 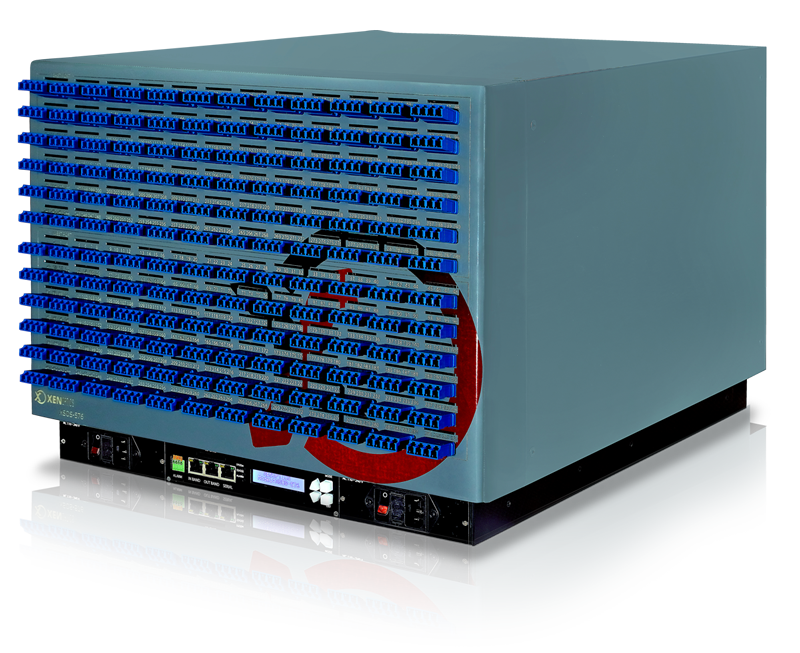 The 3D-OS technology provides unique fiber density that allow fiber port management of up to 3456 ports using one side of a single standard 19” rack or up to 6912 ports by using dual sides of the 19” rack (back to back). Configurations are immediately reflected in the management systems and recovered automatically in case of failure. A unique Integrated Remote Fiber Testing System which enables live links to be tested for integrity remotely. Meets applicable Telecordia and ITU recommendations. Highly reliable field-proven system units. Grow as you need. Users may start with a small size matrix and can easily upgrade to a large matrix.